As hard as they may try, no parent is perfect. Kraft Mac & Cheese brought this to light in their new “Make it Right” campaign, showing that parenting mistakes happen to the best of us, and a bowl of mac and cheese is a simple fix to make amends with kids. And in the spirit of Mother’s Day, Kraft looked to celebrate moms for their imperfections. As part of the initiative, we partnered with Kraft Mac & Cheese to uncover the slip-ups Millennial parents face in their day-to-day life, and the lengths they would go to make it right. We conducted a survey among Millennial parents to take a deeper dive into the “oops moments” they face every day. In fact, we found that 93 percent of them believe mess-ups are a natural part of parenting, and 60% admit these fails happen three times per week. The survey also uncovered parenting differences between moms and dads just in time for Mother’s Day. Seventy-four percent of moms admit they have sworn in front of their kids before, and are even more likely than dads to confess to doing so! Please see the full press release and information about Kraft Mac & Cheese’s “Make it Right” campaign below, and learn more about the “oops” moments that define parenting. And please see the link below to learn more about their #swearlikeamother campaign. PITTSBURGH & CHICAGO–(BUSINESS WIRE)–Parents aren’t perfect… even moms. Moms mess up. Moms are human. And yes, Moms have potty mouths. So it shouldn’t be that surprising that 74% of moms1 admit to swearing in front of their kids. That’s even more than dads! 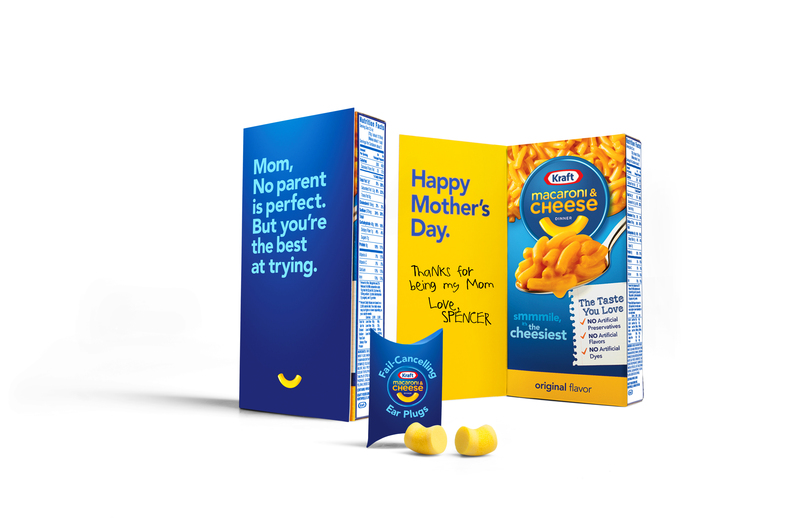 To help Mom make it right, this Mother’s Day, the Kraft Mac & Cheese brand is introducing a set of tools to help. The brand has created a film with Melissa Mohr, author of Holy Sh*T: A Brief History of Swearing, on alternative swear words moms can use around the little ones to prevent parenting fails. Additionally Kraft is launching Mother’s Day cards with Fail-Cancelling Earplugs to help shield your kids’ ears in those not-so-motherly moments. And for whatever the earplugs and substitute swears can’t block, there’s always Kraft Mac & Cheese. Kraft Mac & Cheese Mother’s Day Alternative Swearing Guide, cards and Fail-Cancelling Earplugs are available for a limited time while supplies last at www.swearlikeamother.com. The Kraft Heinz Company (NASDAQ:KHC) is the third-largest food and beverage company in North America and the fifth-largest food and beverage company in the world, with eight $1 billion+ brands. A globally trusted producer of delicious foods, The Kraft Heinz Company provides high quality, great taste and nutrition for all eating occasions whether at home, in restaurants or on the go. The Company’s iconic brands include Kraft, Heinz, ABC, Capri Sun, Classico, Jell-O, Kool-Aid, Lunchables, Maxwell House, Ore-Ida, Oscar Mayer, Philadelphia, Planters, Plasmon, Quero, Weight Watchers Smart Ones and Velveeta. The Kraft Heinz Company is dedicated to the sustainable health of our people, our planet and our Company. For more information, visit www.kraftheinzcompany.com.